Executive Summer School: Why Culture Eats Strategy for Breakfast with Wim Focquet - Executive Ed. On July 11, 2018, Wim Focquet, Academic Director and Adjunct Professor of the Master in Talent Development and Human Resources program, provided participants of the Executive Summer School with an insightful and unconventional look at the value of culture to an organization’s success. Many executives place immense importance on their organization’s vision, objectives, strategy and processes. However, Wim argues that the most successful leaders are those that provide a culture in which professionals can thrive both individually and as a group. Wim began the seminar by asking participants about their personal feelings and moods in a professional environment. These questions illustrated an important point: customer-centric strategies will not achieve success unless your employees’ feelings and values are acknowledged and respected. This idea was the basis for Peter Drucker’s famous phrase “culture eats strategy for breakfast”. According to Wim, although many executives acknowledge culture as a contributing factor to a company’s success, they do very little to change it. Culture relies on the unpredictable nature of human behavior, meaning it is more difficult than strategy to learn and refine. “You cannot grow people to become identical”, Wim tells participants, “so you must create a climate where people can grow themselves”. Throughout the session, Wim consistently steered the discussion back to the participants’ respective organizations, allowing them to visualize how new theories can be instantly applied to their own real-life situations. Participants shared personal experiences of workplace culture, with the group focusing on how challenges that arose could be overcome. Concluding the collaborative seminar, Wim offered advice on how to consolidate strategy and culture to maximize their organization’s potential. When these two, often contradictory, ideas are properly integrated, they can have a long-term, transformational effect on a business’ performance. 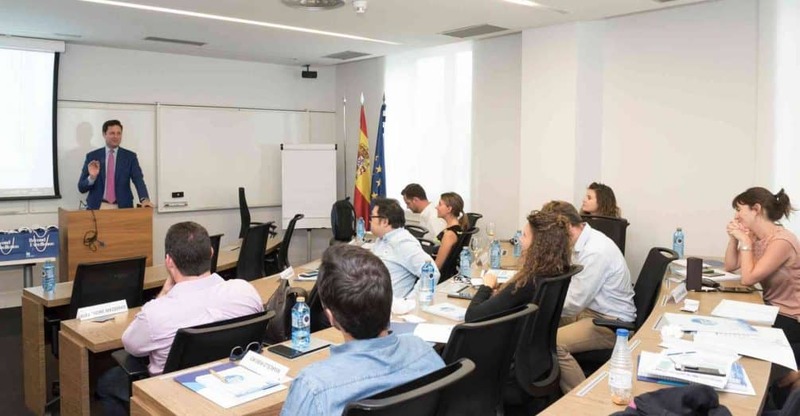 In the five-day Executive Summer School program, executives from a variety of personal and professional backgrounds gain unique insight into how to be a better leader in the context of an ever-evolving market. By exploring cutting-edge leadership trends and underlying economic shifts, participants develop practical skills they can immediately apply to their own organization. If you’re an ambitious executive that wants to optimize your business’ success by cultivating a collaborative culture, visit our website for more information.